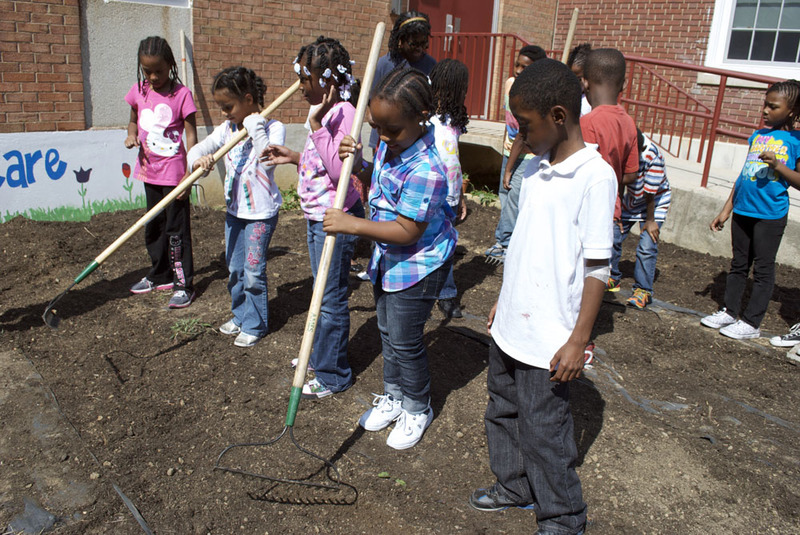 This semester, Kimball’s second grade students are focusing on plants. 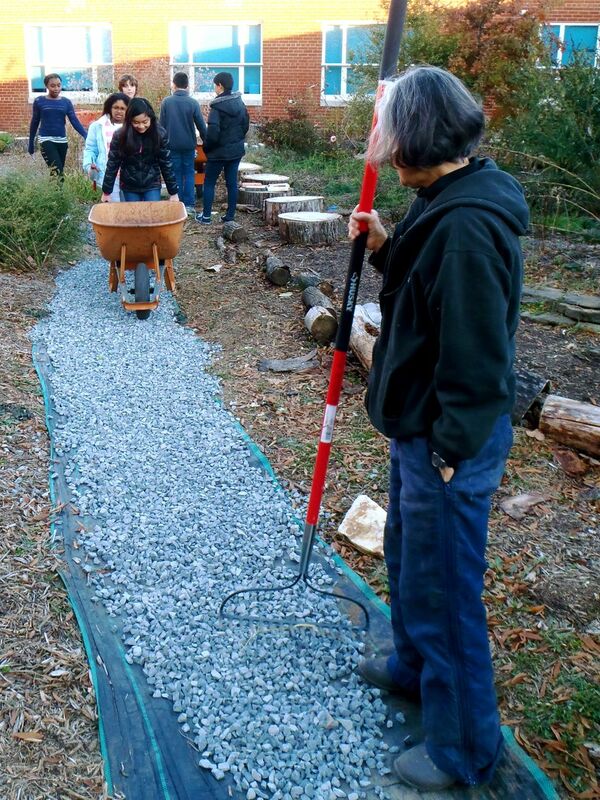 Joined by volunteers from the Washington Center, the Lands and Waters team helped engage students and reinforce their classroom lessons by leading a fall planting in their schoolyard vegetable garden. 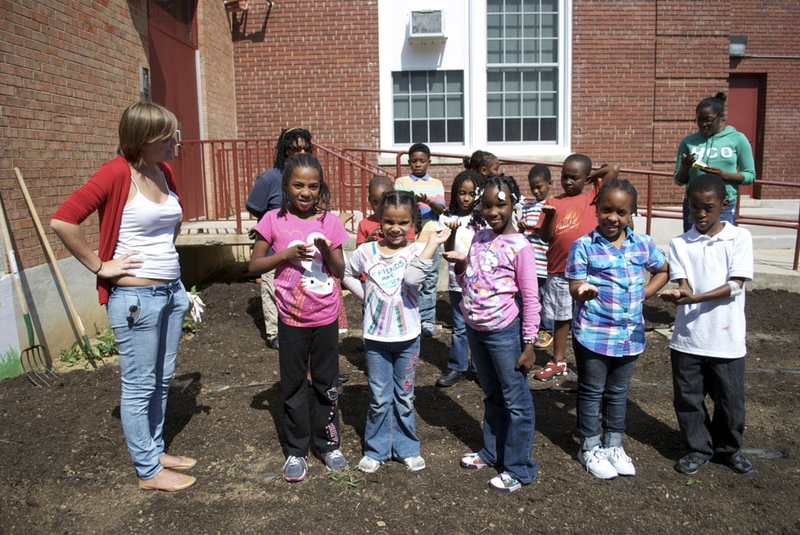 The soil has been weeded and rich leaf compost has been turned in, now the students line-up and prepare to plant! 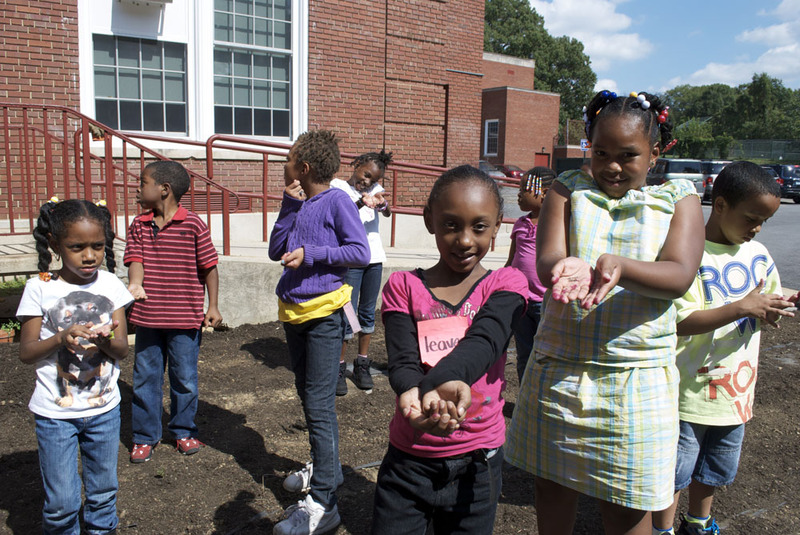 Close observation of lettuce seeds reveal creative descriptors from the students — “raindrops” and “bugs” fill tiny palms. Finally, each student gets a turn to gently scratch their seeds into the soil. 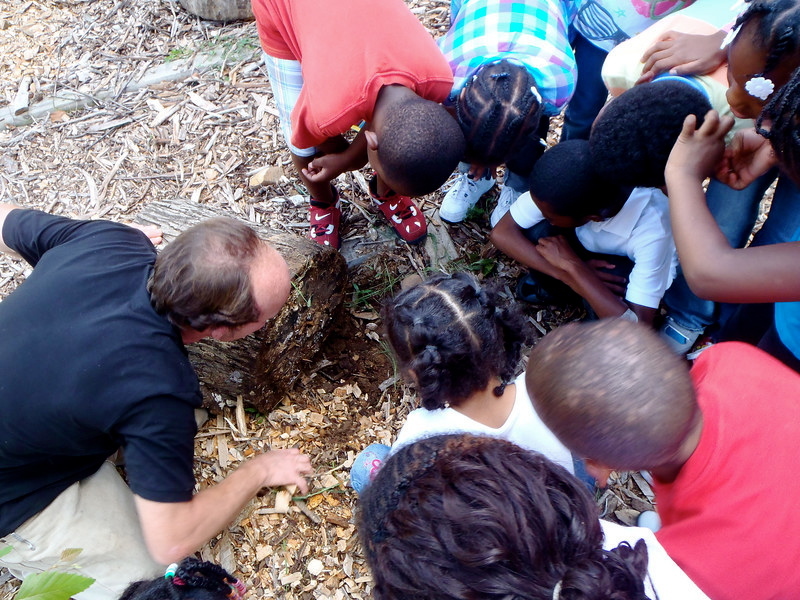 While exploring the Kimball Community Forest, students roll over logs to reveal the abundance of life beneath them. 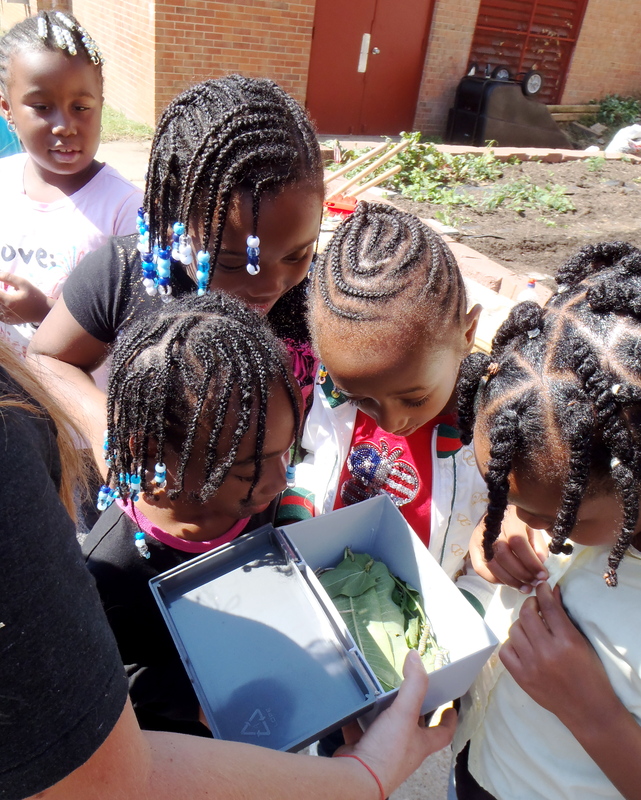 Surveying their schoolyard biodiversity as discovery-based learning helps to teach students to explore and analyze the world around them. Through the trees — there are many taboos associated with the woods. Learning to love the “wild” is sometimes a re-learning process, especially for children more familiar with an urban jungle. While preparing the garden beds for planting, we find a monarch caterpillar voraciously munching on honeyvine leaves (Ampelamus albidus). Closer inspection revealed numerous caterpillars stealthy camouflaged among the vines. We gathered them up, planning to rear them back at the office. 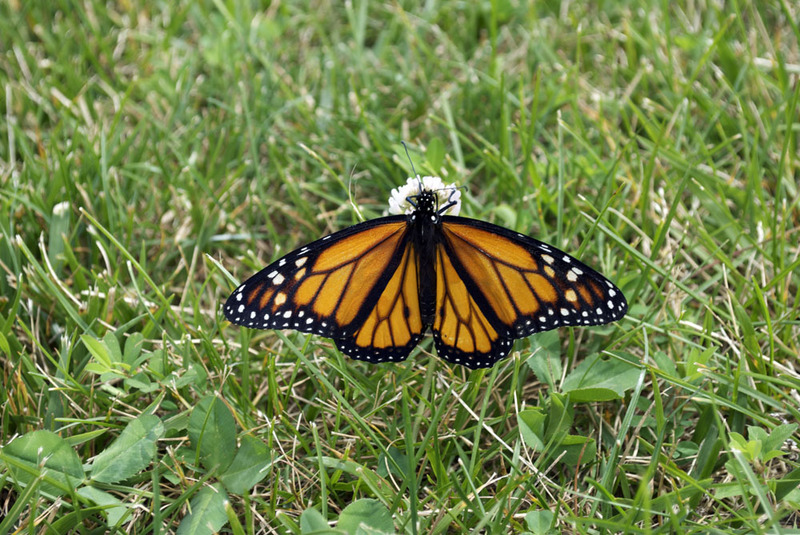 Only 1% of the monarch eggs laid make it to become butterflies, so they need all the help they can get! A cozy home in captivity, lazily munching on milkweed leaves, greatly reduces the threats of parasitism and predators. Our caterpillars will transform into one of these magnificent butterflies! Then they will make their long, obstacle-filled migration to Mexico, on those fierce yet fragile wings. 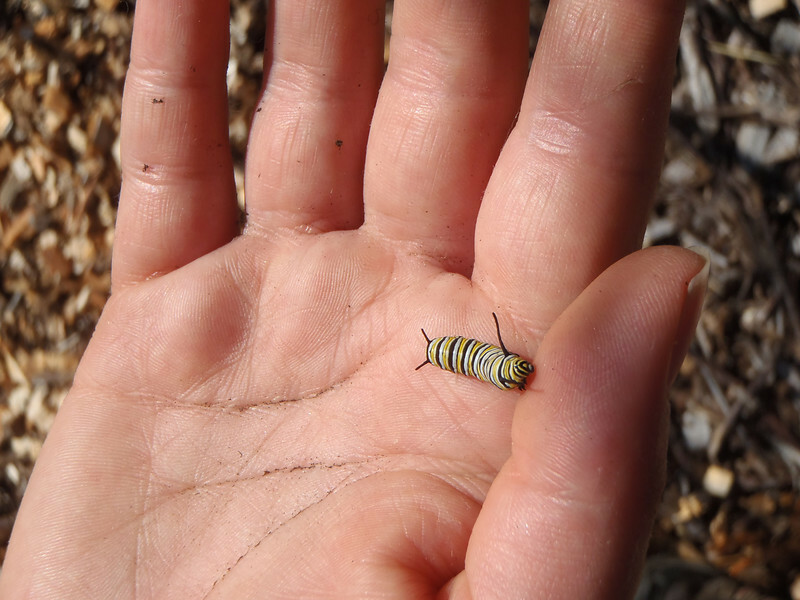 Monarch caterpillars are collected and kept in a box for temporary safe-keeping. 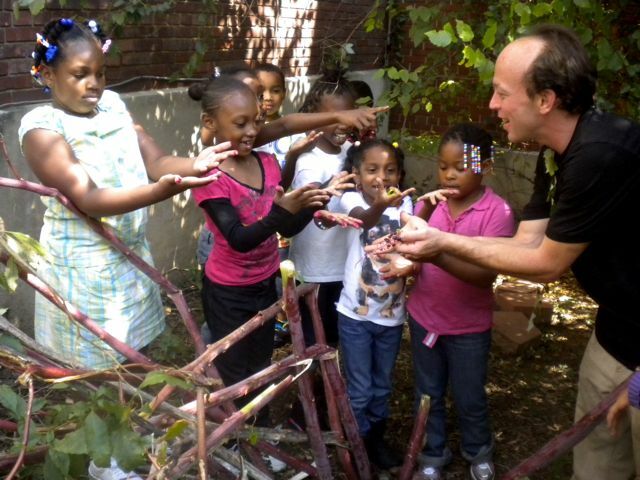 They provide a delightful “teachable moment” in which students learn about life cycles and migrations. One of those wonderfully impromptu lessons we embrace as environmental educators. 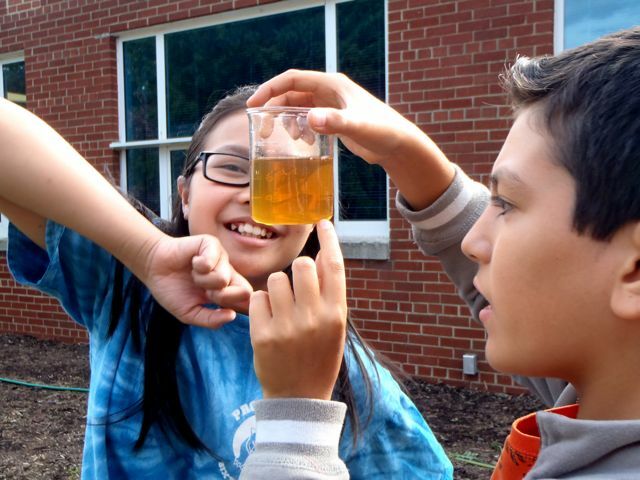 Three years ago, Lands and Waters partnered with Lanier Middle School to create a living classroom in their turf-dominated courtyard. The objective was to create a forested area to provide habitat for organisms that would use the vernal pool ecosystem, such as amphibians and invertebrates. We wanted to create examples of ecosystems — a bog, plantings representative of upland woodland forest, a riparian area, a meadow, a vernal pool, a pollinator garden and finally a vegetable garden was added last spring by the hardworking members of the Eco-club. The courtyard is opened to all disciplines but the Eco-club is at the heart of the maintaining and enhancing courtyard. Lanier’s Eco-club meets twice a week this year — primary activities evolve around the courtyard and the school’s recycling program. 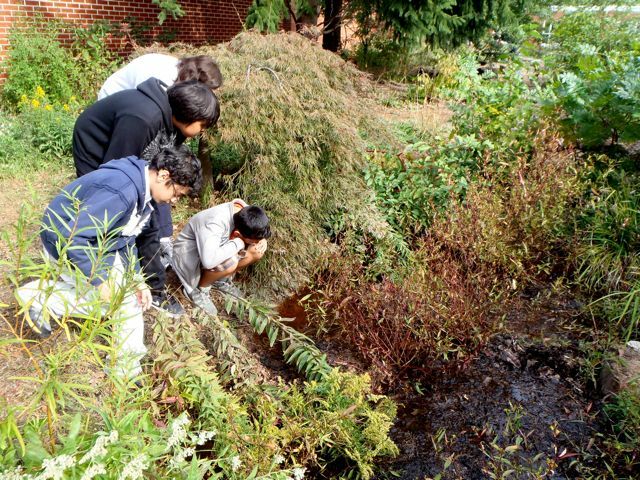 Eco-club students investigate the vernal pool habitat in their courtyard. Water samples collected from the vernal pool to test for water quality parameters and macroinvertebrates. 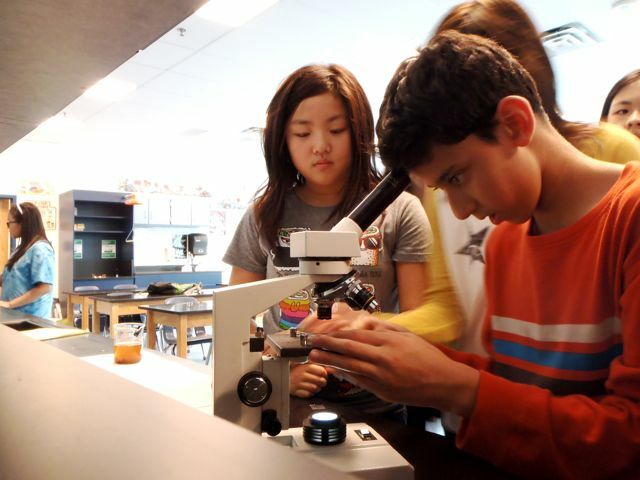 Eco-club students use microscopes to look for macroinvertebrates and other microscopic life forms. Teamwork! 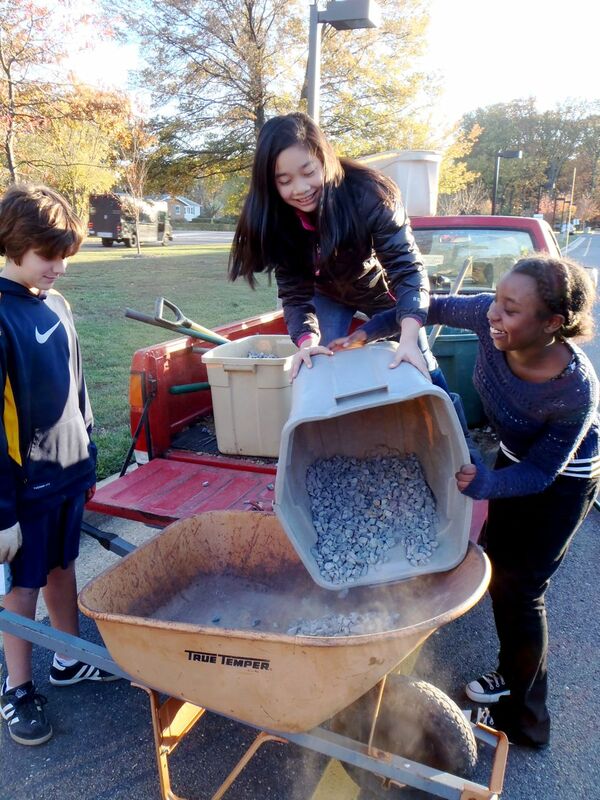 Students working together to load and haul fresh gravel for the dry-bed stream. Students help to put in a low area that runs through the courtyard to conduct water to two internal drains. 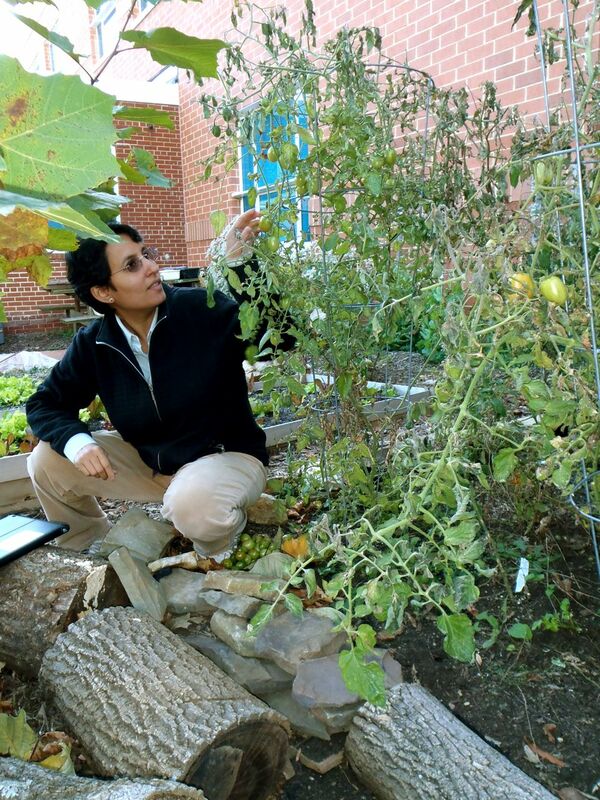 Ms. Alam, science teacher and Eco-club leader, picks the last of the summer tomatoes before they are killed by frost. 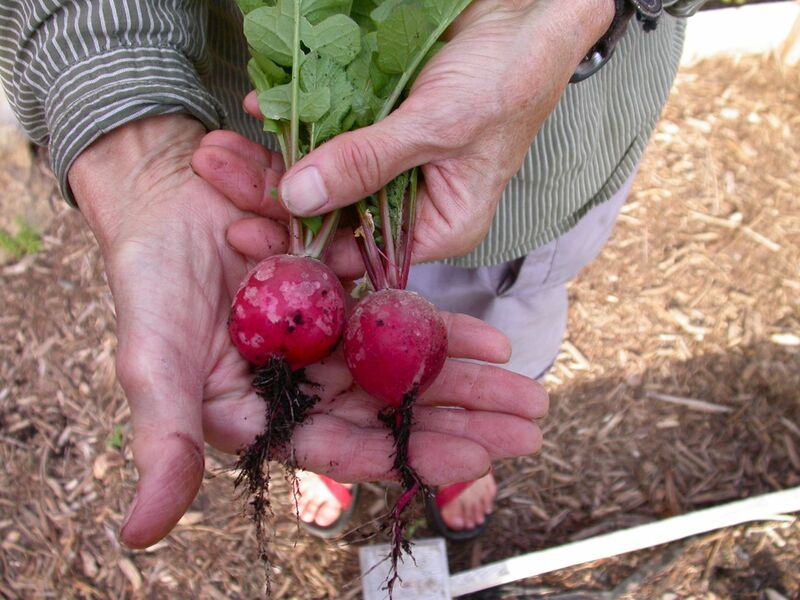 September plantings of radish come to harvest. 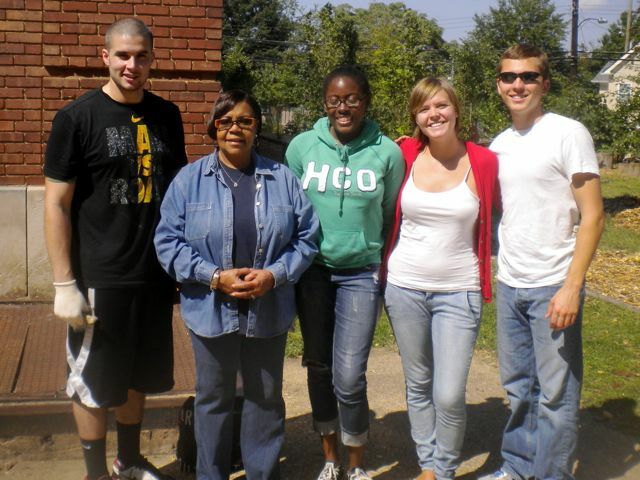 Fairfax Water, Fairfax High School: New Partners, New Program. We invite you to become a part of LANDS and WATERS by joining our membership or making a donation. 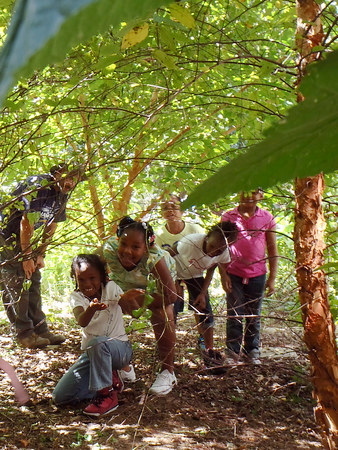 Your donations help us improve our programs and directly support our greening projects. We are a 501(c)(3) nonprofit, contributions are tax deductible. Annual membership is $35.